But through my research I also learned a few valuable lessons about building community and the people leading the charge in some of the state’s smallest communities. 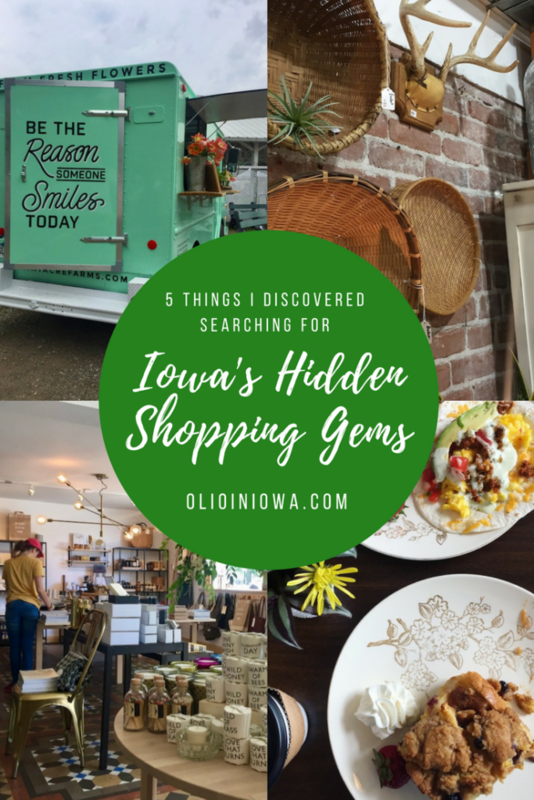 Discover some of the things I learned while searching for Iowa’s hidden shopping gems. One of the best parts of this type of research was that no matter how much I prepared, there was always a surprise around the corner. 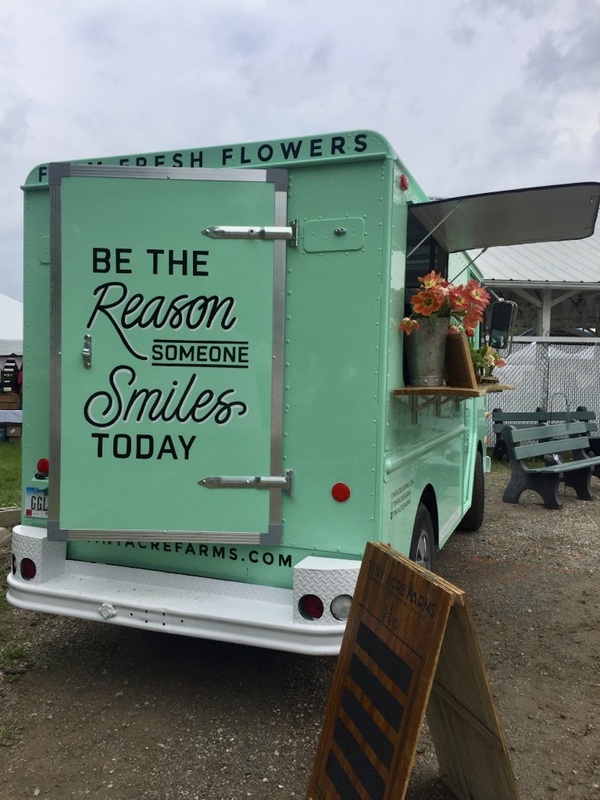 Whether it was the charming teal truck owned by Tiny Acre Farms at the Vintage & Made Fair in Adel or one of the most delicious brunches I’ve ever had at The Vault in Gilbert, I learned that it’s important to give yourself permission to be delighted. Even if you think you know exactly what you’re getting yourself into, remember that there’s always room for something more wonderful. One of my favorite ways to explore a new place is by doing a bit of wandering. It’s how I stumbled upon Scout of Marion just a few weeks after it had opened. We had initially stopped in Marion, Iowa to check out their sculpture walk. But I was delighted to find this retail haven owned by a dear friend of Des Moines’ eden. 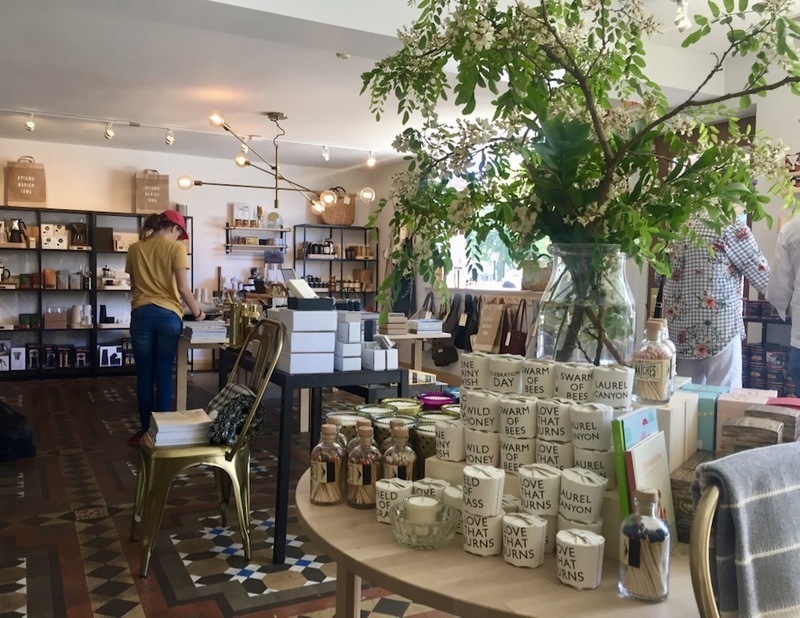 A good dose of wandering also led us to The Shops at First Brick in nearby Mount Vernon, Iowa. 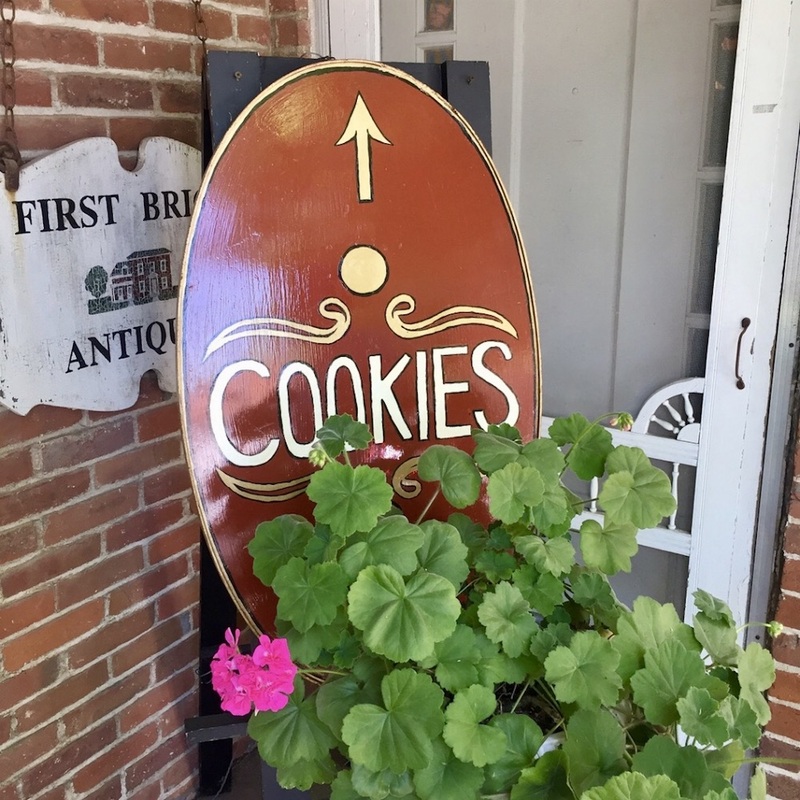 Not only is this historic building home to a variety of shops, but its owner, Ann Booth, also sells her delicious shortbread cookies from the Perfect Blend Gift Shop. One bonus piece of advice: if you ever encounter homemade cookies if your travels, you should probably take some to go. As with any adventure, a retail road trip is as much about the journey as it is the shopping. At this point I’m basically incapable of planning a trip that doesn’t include at least one “world’s largest” thing or roadside attraction. 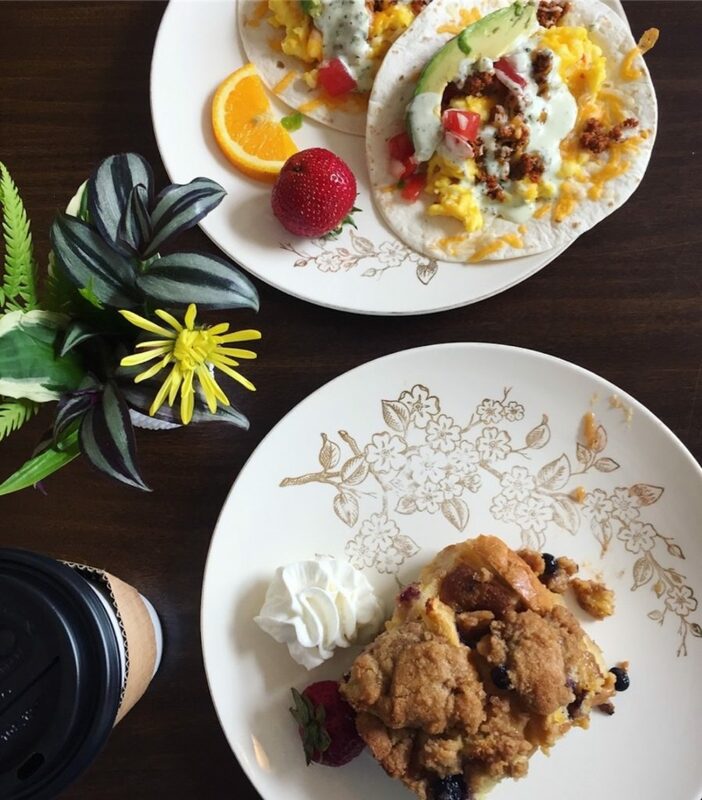 For this particular research project, we opted for some extra time on the road and checked a few items off my Iowa bucket list. 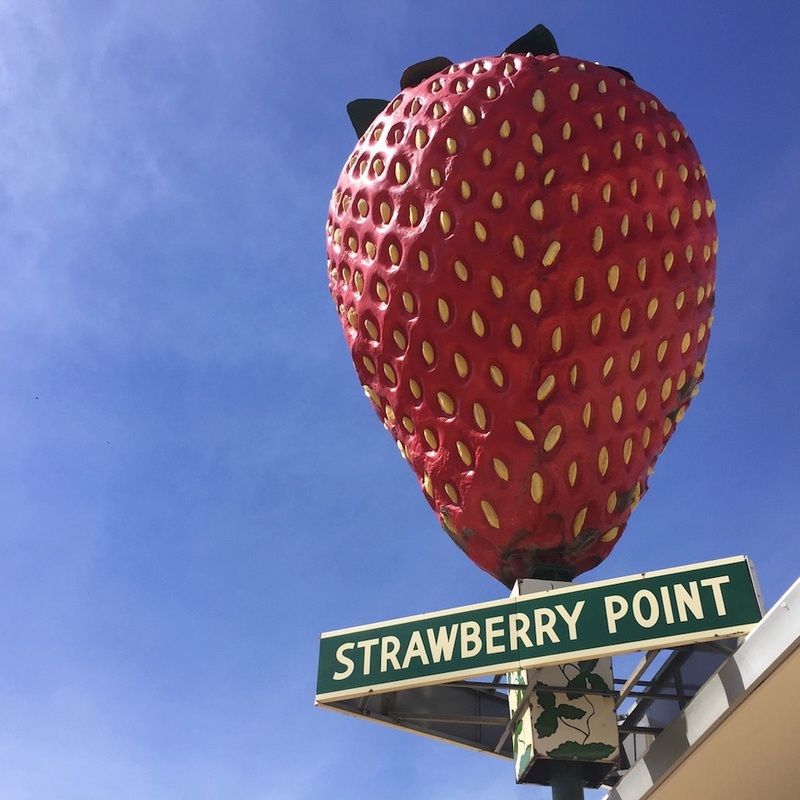 In Strawberry Point, Iowa, we posed near the World’s Largest Strawberry. 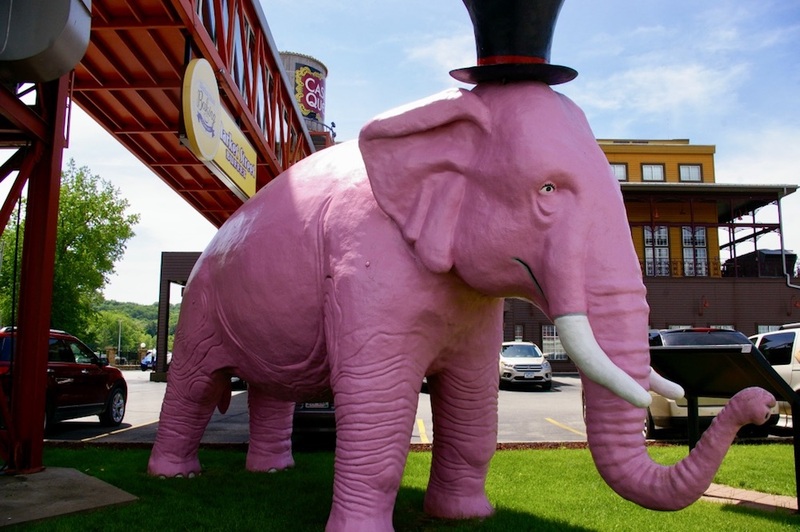 And in Marquette, Iowa, we stopped outside of the Casino Queen Marquette to pay our respects to Pinky the Elephant. I’m always a little chatty. I just can’t help it. So it’s not uncommon, especially on a trip like this, that I strike up a conversation with a shop owner. In nearly every instance, this resulted in wonderful recommendations to visit some of their favorite shops. And while they didn’t all make it into my articles, many of these places were among my favorites. 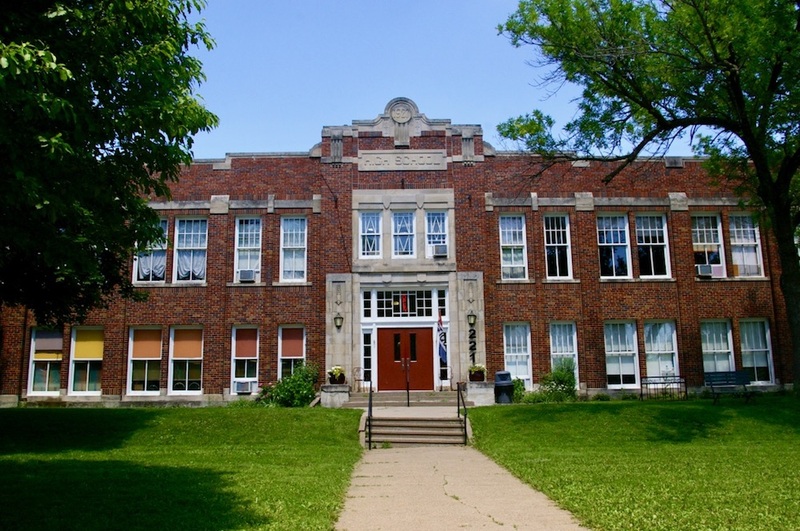 Whether it was can’t-miss stops along the Central Iowa Junk Jaunt from the owner of JB Knacker or an offhand comment to check out the old high school turned community center in Mount Vernon, Iowa, personal recommendations have always served me well. Nothing solidifies a shop’s status as one of Iowa’s hidden shopping gems like a cuddly shop cat. Of all the places I visited on these research trips, most of my favorites had a feline friend of some sort. Keep an eye out the next time you’re shopping stores in your area! I would love to hear from you! Where are your favorite places to shop? 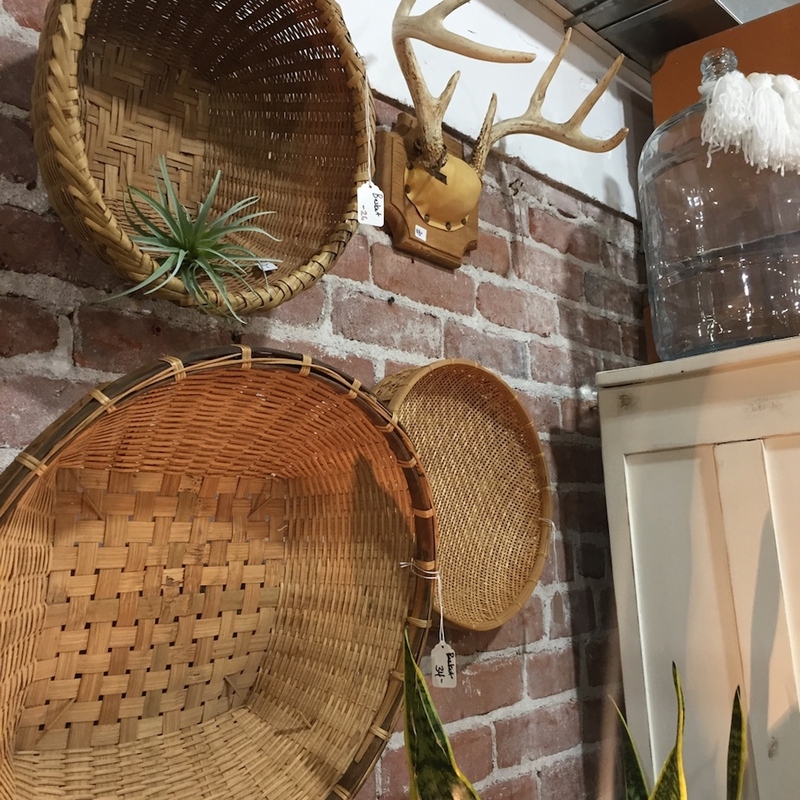 What hidden shopping gems have you discovered? I so wish I could join you on one of your jaunts! After living in Iowa for 5 years I’m pretty sure I never ended up at any of these! Too bad – they look wonderful! 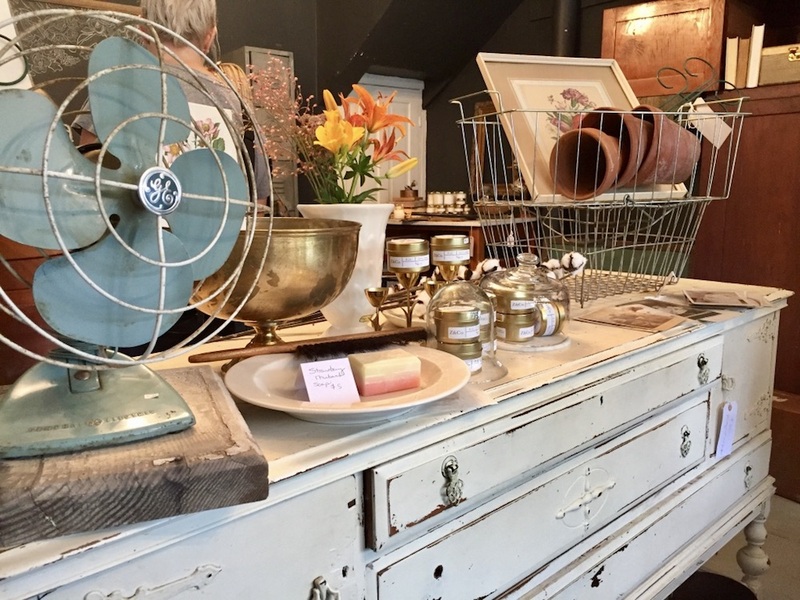 I used to go to an AMAZING vintage reclaim shop in Des Moines that was just absolutely breathtaking! They’re so worth the trip! 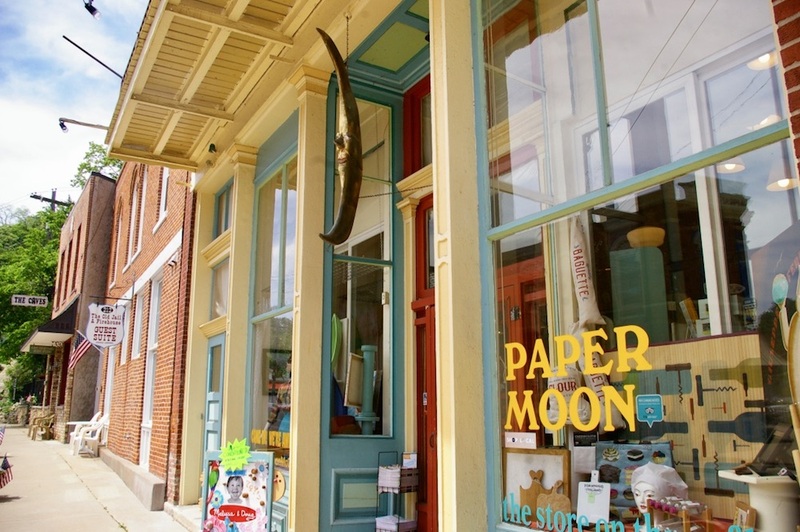 It was a blast to plan a small town shopping road trip for this assignment. I can’t recommend it enough. Thanks for reading! Thanks for sharing, Margaret! I always love hearing from people who have fond memories of the places I’ve visited. You’re absolutely right—Iowa has a truly unique spirit that I’ve come to admire greatly. Thanks so much for your kind words!